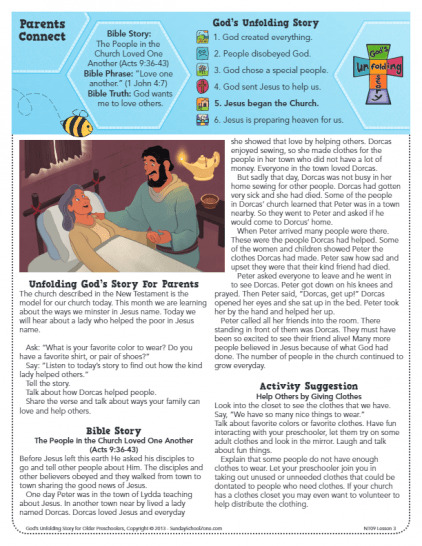 Every lesson from God’s Unfolding Story for Older Preschoolers includes a Parents Connect page. This is The People in the Church Loved One Another Parents Connect Page (NT09L3PC). Every lesson from God’s Unfolding Story for Older Preschoolers includes a full-color teaching picture. This is the teaching picture for The People in the Church Loved One Another (NT09L3TP). 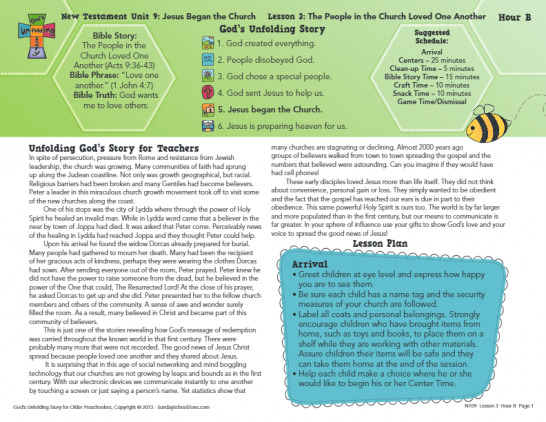 Every lesson from God’s Unfolding Story for Older Preschoolers includes two lesson plans. 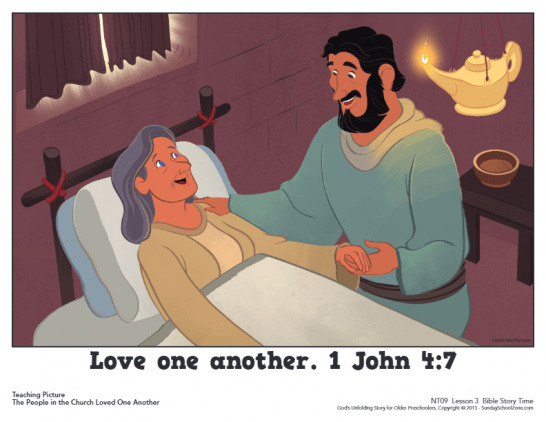 This is the Hour B lesson plan for The People in the Church Loved One Another (NT09L3HB). Every lesson from God’s Unfolding Story for Older Preschoolers includes two lesson plans. 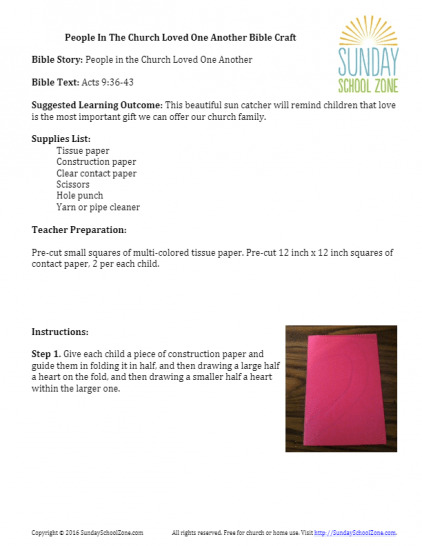 This is the Hour A lesson plan for The People in the Church Loved One Another (NT09L3HA). The story of Peter healing Tabitha (Dorcas) demonstrates how the people loved each other in the early church seen in The Book of Acts. This beautiful sun catcher will remind children that love is the most important gift we can offer our church family.